Who is this man? And what is he doing? 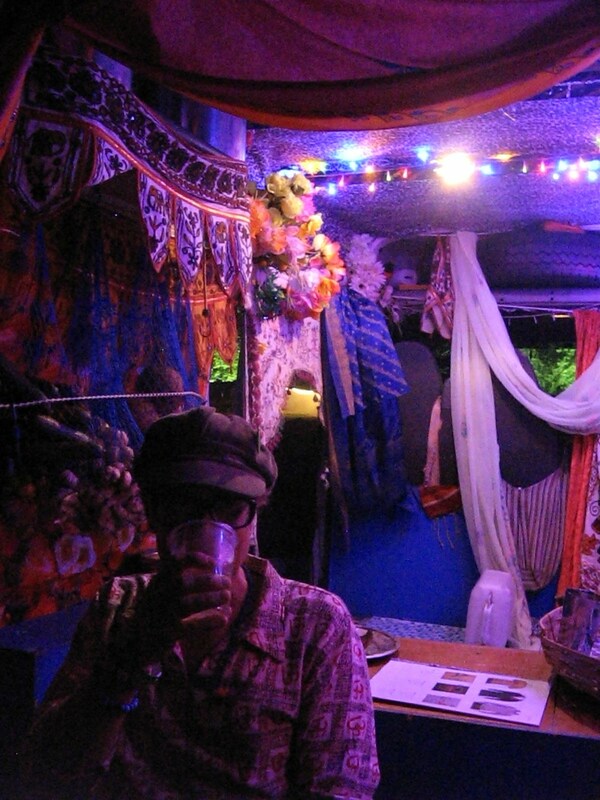 If you happened to be at a music festival in Norfolk last weekend, you may have caught sight of this intriguing gentleman popping up next to the Birdcage Stage serving delicious Indian street snacks. His name is Angus Denoon: man of mystery and very good hats. 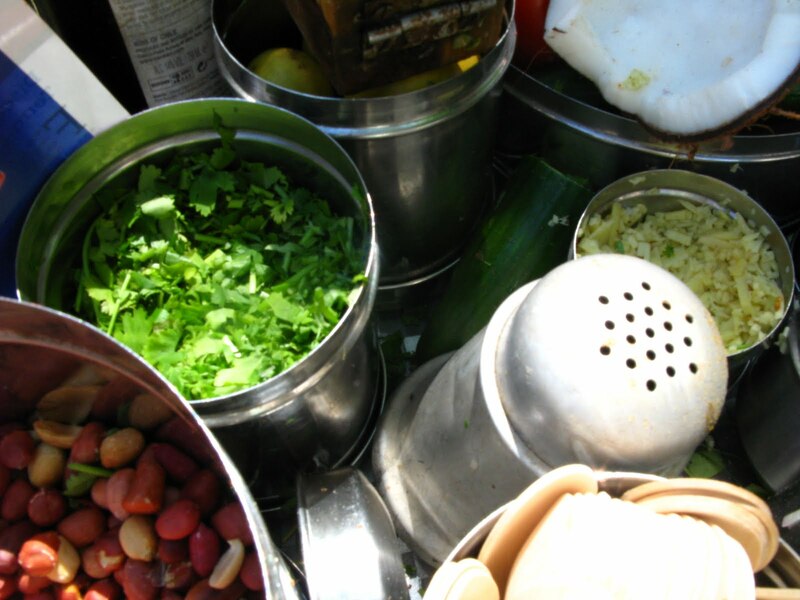 Angus makes and sells his version of the street food he tasted when travelling around India. 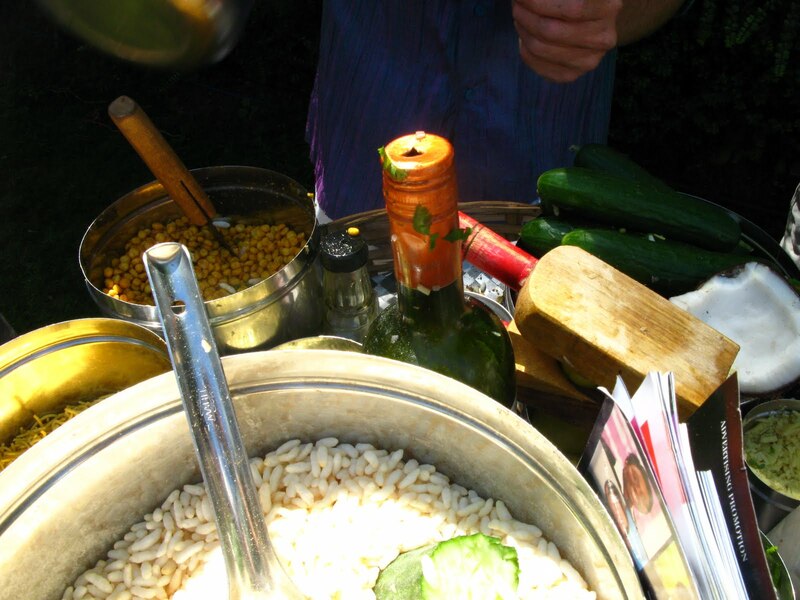 Last weekend, he served Bhel Puri, a delicious combination of boiled potato, fresh coriander, onion and tomatoes, mixed with puffed rice and chickpea flour sev (crunchy vermicelli), drizzled with tamarind dressing, chutney and a medley of spices. 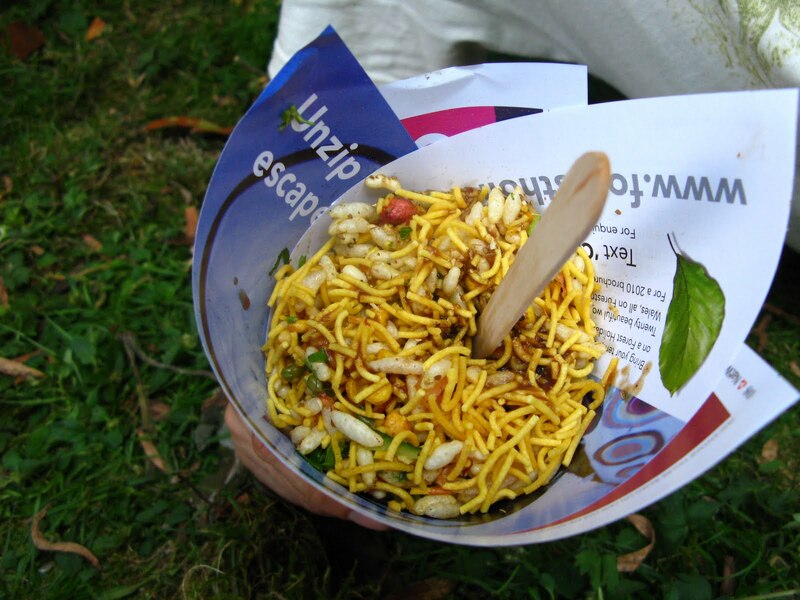 I’m sure I’ve missed out some of the crucial ingredients, but this humble snack served up in a twist of paper is one of the nicest things to eat at an outdoor festival – it’s simultaneously soft and crunchy with sweet, sour and chilli heat all marrying together in a very satisfying way. I would eat this every day if it was sold as street food here! Every other year or so, I’ve hung out with Angus at random parties and festivals – he’s one of those people that I won’t see for a long time but will bump into by accident, and he’s always very mellow and easy to get along with. He carries has an air of mystery about him; I asked him what his plans were for the rest of the summer, and he was charmingly elusive, mentioning some possible Cornish beach appearances and ‘keeping a low profile’. 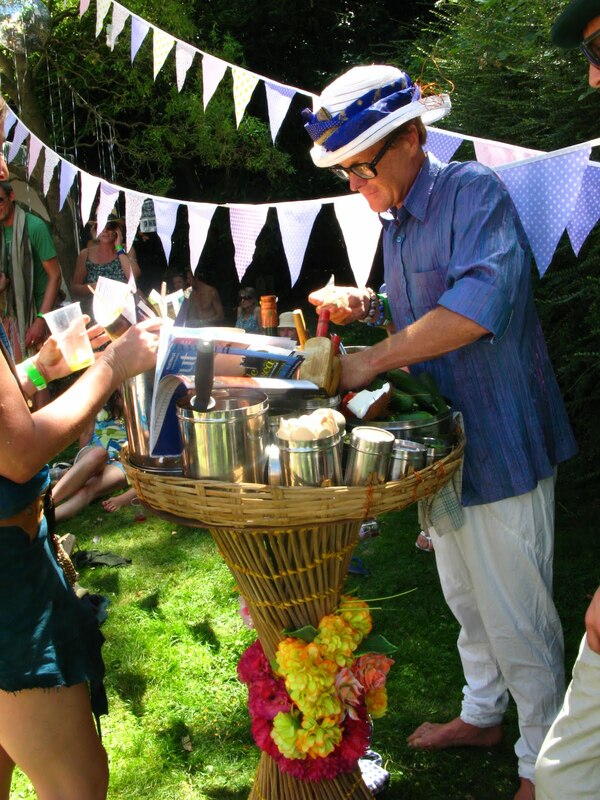 I know for a fact that he is an amazing cook beyond making snacks at festivals – he catered for my good friends’ wedding with gorgeous Spanish-inspired food. He calls his catering company ‘Mongo Denoon and the OK Catering Success’. Awesome! Thanks for pointing me to this post! I've met the man, but not yet tasted the food. I really need to get down there on Sunday. Oh my Gosh, food was never so good, if I could, I'd choose to eat not much else! Mmmm Nummy yummy num yum, more please!